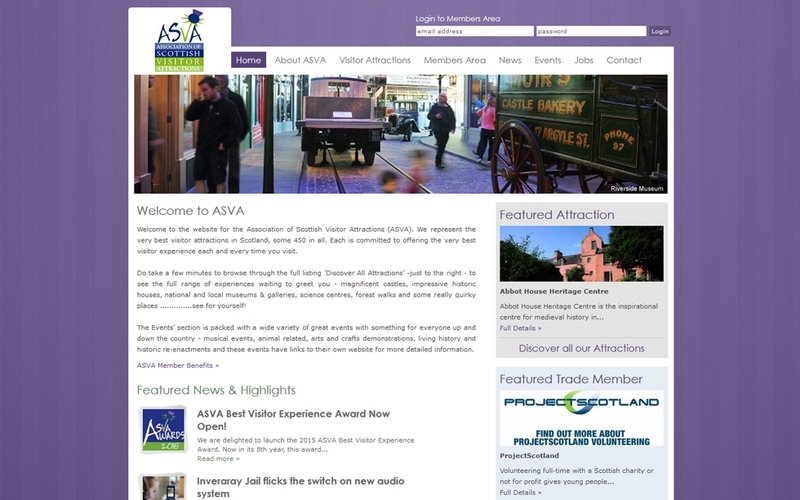 The Association of Scottish Visitor Attractions is a member organisation to promote the interests and help collaboration of over 450 visitor attractions. SAMTEQ have built a website which fully integrates with a cloud member management system. Members benefit from having access to edit their attraction's public profile, keep up-to-date with member news and book exclusive member events online. The ASVA team now centralised their member management functions onto our cloud platform. Integrated functions include member invoicing, bulk emailing (email shots) and general member management tools.